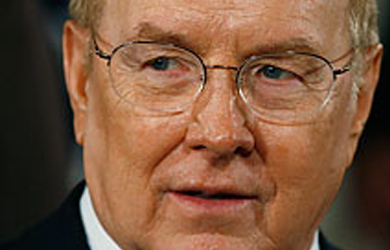 It was just five months ago that James Dobson declared unequivocally that he would not, under any circumstances, ever support John McCain for president, saying “I cannot, and I will not, vote for Sen. John McCain, as a matter of conscience.” In fact, so opposed to McCain was Dobson that he went so far as to organize an effort to secure one million signatures in opposition to McCain’s nomination and then publicly reiterated his vehement opposition to his nomination just a few months later. 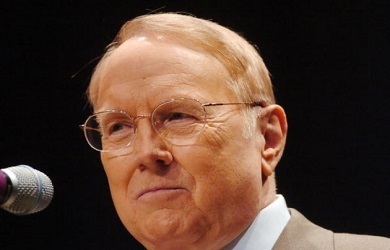 Conservative Christian leader James Dobson has softened his stance against Republican presidential hopeful John McCain, saying he could reverse his position and endorse the Arizona senator despite serious misgivings. He is also supportive of the entire gay activist agenda. We’re not just talking about showing respect for people and equal rights for all citizens of the United States. It’s not referring to it in those terms. He’s talking about homosexual marriage. I mean, he makes no bones about that. He’s talking about hate crimes legislation which would limit religious liberty, I have no doubt about that, that ministers and others – people like us – are going to very quickly be prohibited from expressing your faith and your theology on certain views. … Just so many aspects of his views on that issue that keep me awake at night frankly … that he is so extreme, that he does threaten traditional family life and pro-moral values … This has been the most difficult moral dilemma for me. It’s why you haven’t heard me say much about it because I have struggled on this issue. And there are some concerns here that matter to me more than my own life and neither of the candidates is consistent with my views in that regard. But Senator McCain is certainly closer to them then Senator Obama, by a wide margin. And there’s no doubt, at least no doubt in my mind, about whose policies will result in more babies being killed. Or who will do the greatest damage to the institution of marriage and the family. I’m convinced that Senator McCain comes closer to what I believe. So I am not endorsing Senator McCain today … But as of this moment, I have to take into account the fact that Senator John McCain has voted pro-life consistently and that’s a fact. He says he favors marriage between a man and a woman, I believe that. He opposes homosexual adoption. He favors smaller government and lower taxes and he seems to understand the Muslim threat, which matters a lot to me – I am very concerned about that. Dobson: Hang on to your hats today folks because we’re going to wade in where angels fear to tread because our topic is the national election here in the United States. Passions are running at a fevered pitch as we approach this time decision and the mainstream media is determined to shape, or even control, if they can, what happens in November, the outcome there. And I have never, in my lifetime, been subjected to such viciousness as I have in response to the four or five comments that I made about this subject in the last year or so. It began in September 2007 when I was a guest on the “Hannity and Colmes” television show and my great and respected friend Sean Hannity hammered me because I said that I can never vote for Rudy Giuliani for president because his position on abortion and homosexual marriage and so on, I’ve been saying those things for 35 years. But Sean said with great passion that I had to support Rudy Giuliani because he was the only person who could defeat Hillary Clinton and I said at that time “you know Sean, we still have more than a year to go and a lot of things can happen” but he really insisted that Rudy was the only person that was going to be able to stop Hillary. Well, as it turns out of course, Rudy got one delegate and Senator Clinton didn’t get the nomination. So my point is that presidential elections are unpredictable and highly volatile and anyone who interjects himself or herself into the campaign is just asking for it and that will probably occur in the response to the program we’re gonna do today. Our local paper, The [Colorado] Gazette, recently put a ridiculous cartoon of me on the front page, above the fold, making the case that my influence was done for, was over. They didn’t explain if that was true, why they put me on the front page of the paper and why I’ve been in over a thousand newspapers this summer. So that’s the way it is. Nevertheless, what’s at stake here this election year is unlike anything we’ve ever seen in American history, in my view. And the decision that we’re going to be making, many decisions really, that we’re going to be making in November now hold enormous consequences for the future of our country. I have been consulting with some of the most respected evangelical leaders on the scene today and I respect these gentlemen highly and they’ve all urged me to do what we’re doing today, to help our listeners who hold on to conservative Christian views to think through, maybe help others think through – we don’t have all the answers – but just to consider the critical issues and perhaps get a better understanding of what Senator Barack Obama and/or what Senator John McCain believe and where they’ll take us in the next four to eight years if one of them is elected – and one of them is going to be elected. So we can do that here at Focus on the Family because this is actually a Focus on the Family Action program. It’s being paid for by money that was contributed by people who did not get a tax deduction for their contribution and that allows us the flexibility to talk about where we’re gonna talk about today. We’re going to try to do it as wisely and cogently and honestly as possible. So I have a real privilege of inviting to the studio here with me today – we’re actually not in Colorado Springs, we’re in Nashville, Tennessee – but Doctor Al Mohler is here to help us address this issue. He’s one of those leaders that I was talking about that I’ve been consulting with. He’s the president of Southern Seminary and he has his own radio program call “The Al Mohler Program” heard on 100 stations or more, it’s part of the Salem Network. He’s the author of numerous books. He has Ph.D. He’s married to Mary, who’s sitting here today as well, and they have a terrific son and daughter. … Well I have been talking to you by phone on numerous occasions and let’s get right to it because we’ve got a lot to discuss. I believe and you have shared with me that you are very concerned, as I am, about the possibility of Barack Obama being the next President of the United States. And maybe a better word for it is “alarmed” by that possibility. Is that true and explain why? Mohler: Well it is true and we’re in an unusual situation here. You know, you’re looking at the 2008 presidential election and I, for one, feel that evangelical Christians are in a different position than we’ve been in before. We’re confronted with a set of choices, both of whom represent some new ways we have to think through the issues. Barack Obama is one of the most attractive, charismatic candidates to emerge on the political scene in a long time. We may have to go back to a John F. Kennedy and Ronald Reagan to find someone with a package of skills, that Barack Obama has. And it is clear that he is energizing millions of voters, that he’s attracting many many young people and I think we can see why there’s also this great excitement in this country about the fact that maybe we are the kind of nation that would elect an African American president and so all that lends momentum, leading into this big question. I have to tell you I find Barack Obama to be a very attractive person, a very attractive candidate. I would want to vote for him. But a closer I look at his positions, the more alarmed I become. He is the candidate who bills himself as the candidate of change and, in an odd way, he is; just not the kind of change that I think most Americans now understand. So Doctor when I look at this, I have to say we’re looking at the most liberal candidate, I think, to gain a party nomination probably in history this country, and on so many of the issues, far beyond even where a Bill Clinton was. That is what I think most Americans don’t understand, and many evangelicals don’t understand, particularly younger evangelicals. This is a man who has staked out his positions for the last twenty years in a way that is markedly beyond where most Americans believe he is. Dobson: I think he’s more liberal and more extreme than most Democrats in the Senate. In fact, the best example of that is the Born Alive Infant Protection Act which was voted on in the United States Senate and passed by 98 votes to nothing. That was the legislation that would have prevented physicians and hospitals from killing a baby who was aborted but somehow managed to limp into the world alive. And so it would protect them, it would prevent them from committing murder. Well in the State of Illinois earlier than that, two years earlier, Barack Obama was Chairman of the committee who dealt with that same legislation, or a piece of legislation similar to it. And he was Chairman of the committee, so he got up and spoke against the bill, arguing for the right to kill those babies. Now, 98 to nothing in the Senate, and here he stakes out a position in regard to abortion that even his liberal colleagues don’t represent. This man is really far far left. Mohler: Well, not only is he for what he would call a pro choice position he has fought every significant and meaningful restriction on abortion. He publicly criticized the US Supreme Court’s decision to allow the federal government to prohibit the procedure known as “partial birth abortion.” You know he talks like so many people want to talk, like John Kerry began to talk in the 2004 campaign, about wanting to reduce abortion but he doesn’t mean reducing abortion by any legal means. He has fought that it every single turn. Dobson: He is also supportive of the entire gay activist agenda. We’re not just talking about showing respect for people and equal rights for all citizens of the United States. It’s not referring to it in those terms. He’s talking about homosexual marriage. I mean, he makes no bones about that. He’s talking about hate crimes legislation which would limit religious liberty, I have no doubt about that, that ministers and others – people like us – are going to very quickly be prohibited from expressing your faith and your theology on certain views. And then there comes the issue of DOMA, which I’m very concerned about. The Congress passed the Defense of Marriage Act and twenty eight states now have voted on the definition of marriage and putting that definition in to their Constitutions. Twenty eight. Twenty seven have defined it as being exclusively between one man and one woman. He is opposed to that. He’s opposed to DOMA. And you know, it goes on from there — just so many aspects of his views on that issue that caused me great … keeps me awake at night frankly. You know Doctor, when you look at this, what he’s saying here goes so far beyond where, so far as I know, any Democratic candidate has ever publicly declared himself. For instance, on the issue of DOMA, let’s remember that Bill Clinton signed that act into law. He did so knowing that the American people believe that marriage as the union of a man and a woman. It was overwhelmingly passed by both houses of Congress, signed into law by President Bill Clinton. It was Bill Clinton who clumsily but nonetheless historically came up with the “Don’t Ask Don’t Tell” policy and established it by Executive Order early in his administration. So what you’re talking about here is Barack Obama coming along and saying “all right, I am to the left, significantly to the left, of even of Bill Clinton, even perhaps even if Hillary Clinton on some of these issues.” And now he is saying openly, and this isn’t something dredged up from the 1980s this is two weeks ago roughly to the Alice B. Toklas Democratic Club in San Francisco. He’s on the record on this. Dobson: What concerns me is that he wants to use the power of the federal government to oppose something that the vast majority of the American people already feel with regards to the importance of marriage. It doesn’t matter that twenty seven states have gone on record – there are three more that are going to be voted on and in November: California and Arizona and Florida. It does not matter what they wish and it just it takes my breath away that a presidential candidate could come along and be so far from the mainstream. And that’s kind of a theme of what I feel, and I think you agree, that he is so extreme. That he does threaten traditional family life and pro-moral values. Mohler: He’s also very thoughtful so he doesn’t come up positions recklessly. He’s not someone is going to be caught on a footnote or you know not dotting an I or crossing a T. He really does come to detailed policy positions and I think he thinks that America is headed toward full normalization of homosexuality and I think he sees those of us who believe that that would not be good for the culture as backward, as oppressive, as intolerant. And I think he just wants to see all society bend to what he thinks is that the natural, inexorable, automatic wave of the future. Now if he’s right, well he’ll be elected President of the United States and America will know what they’re doing. But I don’t believe that America is quite ready for that. I don’t think America is ready to sign on to the full normalization of homosexuality and to the elimination of marriage as the union of a man and a woman as a distinctive institution. I also, and this is the point you made so well just a moment ago, I also think most Americans don’t understand what a difference a president can make. When you put someone in the office as President of the United States with full Constitutional authority, with the kind of ambition that Barack Obama clearly has to reshape the culture. You’re really looking at an incredible challenge I think for evangelical Christians to understand. There is more here than meets the eye. 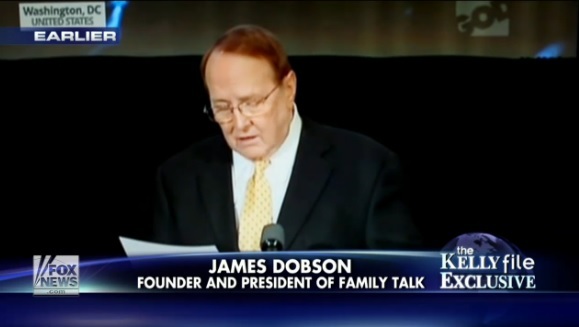 Dobson: And of course the media will be his mouthpiece. And they want to accomplish those same purposes so they will work with him. And there’s a possibility now, and frankly scares me to death, that the Democrats may have as many as sixty votes in the Senate and be able to break a filibuster. And they also make pick up as many as seventy additional seats in the House. So what we run the risk out here is the complete absence of checks and balances, where you have one point of view in charge in the White House, the House, the Senate, and of course the Supreme Court and all of departments of government. That takes my breath away. Mohler: You know Doctor, I was on a conversation this past week in which at this point came up. Could we face an America very quickly where the Supreme Court is the most conservative branch of the federal government? That is conceivable given how leftward it appears that have both the Senate and, under a Barack Obama administration, the presidency would go. You know I think we have to concede the fact the Barack Obama sees through a lot of what Americans are looking for. He has tapped into something here and I think evangelical Christians will make a mistake if we don’t understand that there is an enormous sense in this country, an enormous desire, to see some fundamental rethinking about issues. That’s why we need to contribute to that rethinking. I don’t want to see American go the direction Barack Obama wants to see it go. But I don’t want to see evangelical Christians without any alternative. I think that’s where we really need to engage the debate and I think that’s what a lot of evangelical Christians are out there waiting to see. Dobson: I said on the radio the other day that the media, the mainstream media, the liberal media, has what has been called a template about where we are as a nation. And part of that template, they’re all singing the same song, the same article is showing up everywhere. It is that evangelicals have changed their mind about life, they’ve changed their mind about marriage, they’ve changed their mind about many of the social issues and the moral issues and that its leaders are older and aging and that the younger generation is much more concerned about environmental issues and poverty and other things, as though those who have been around awhile don’t care about those things. But that is the message. That’s been in virtually every newspaper and I show up as the centerpiece of those articles. Where is the evangelical mindset if you can summarize it in that way? Mohler: Well, I think you’ve kind of set it out in terms of implying where that the real cleavage is – I think it’s generational. And I have the benefit of being surrounded by younger evangelicals every single day and I will tell you there is a sense among younger evangelicals who are firm in the faith, conservative in doctrine, that the evangelical movement has gained a bad reputation as being against things rather than for them. I think the younger generation of evangelicals looks at a lot of older evangelicals and says “you just don’t get it, you’re not connecting with the issues, you’re too happy, you’re too consumerist, you’re too materialistic, you’re living in an evangelical subculture” and they’re not all wrong about that. That’s the other reason why I think we’ve got to be out there engaging the issues. We’ve got something to say. 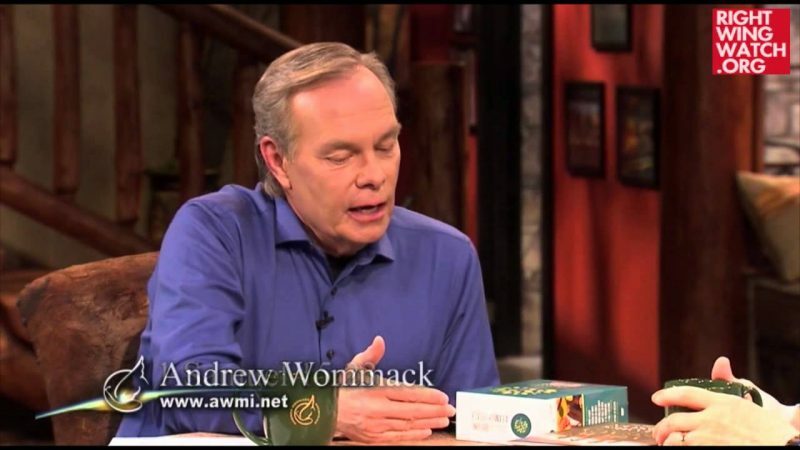 And now only do we have something to say, I think we have something that is biblical, that makes sense in terms of Christian truth and it will be compelling if Christians just begin to think through the issues. But you know that’s the great challenge Doctor, isn’t it of the 2008 election? We’re going to have to think. We’re going to have to help evangelical Christians to think because there’s not going to be an automatic reflex we can just count on. Dobson: And that’s why we do in this program today. It’s not to tell people how to vote. It is to ask people to think about the issues. We’re gonna run out time real quick Al, but I don’t know how we can not talk about national security and terrorism. I don’t know how we cannot talk about the appointment of judges. I don’t know how we can avoid talking about tax increases on families. And Barack Obama’s theology. We could spend a whole program talking about that. Newsweek magazine this week has a huge article on his theology, which is liberation theology. I’d love to hear you talk about that. Mohler: That’s the big picture in terms of Barack Obama’s worldview. It’s what helps us to understand where he comes up with this policy positions. And it goes back to what you were saying about the media. The media has a template – so does everyone, let’s just call it a worldview for a moment. You know it comes down to whether you see the basic institution of marriage as oppressive or liberating, as something that’s a given or something that’s just culturally constructed. Barack Obama comes from a very liberal strain of Christian theology, he’s very explicit about that when he mentions the people that he reads, people like Paul Tillich, Reinhold Niebuhr. He really understands and he mentions this – it comes out in this Newsweek cover story and I hope a lot of evangelicals read it – it comes out that he really believes that Christianity can be a functional impetus towards social change in a liberal direction. Now I don’t think that’s what most evangelical Christians think of when they think of a basic understanding of Christianity. But it comes out of the fact. Here’s a basic reading: if you believe that the civil rights movement is the model for every single social issue, then you’ll paint every single social issue as one of relieving oppression. And so that’s exactly why he writes this letter to the Alice B. Toklas Democratic Club, that is exactly the way he looks at the abortion issue and all the rest. It’s all part of a world view. I don’t think evangelical Christians share that worldview, but I don’t think they understand, at least many do not understand, just how radical Barack Obama is on this. And again I’m glad to have the ideas out there, I’m glad to have that that the battle of ideas joined. I just don’t want to see evangelicals asleep at the switch and just looking at the surface level issues without getting to what really lies underneath. Dobson: Is it your impression that they are asleep at the switch? Mohler: I think so. Look at the polling and the surveys – and who knows how they define evangelicals many times – but there’s no doubt that there is incredible confusion out there. I think the Church is guilty for a lot of confusion. I think a lot of pastors aren’t really speaking about these issues. And I don’t mean holding symposiums on the issues of the day – I mean just preaching the Bible and actually connecting the dots so that people can think as intelligent Christians. Dobson: Well how we have spent most of our time talking about the beliefs and political views of Senator Barack Obama and what he says he will do if he is elected President and we should at least make a few comments about Senator McCain. I am sure that we will and should do another program with him because we have a whole lot to say there I have expressed my strong disagreement with Senator McCain on three or four occasions which continue to be reported regularly in the news as though it were said yesterday. And my disagreement has involved some issues that are now generally known, one being I’ve -criticized his continuing support for federal funding for embryonic stem cell research. That bothers me a lot. It leads to killing of babies, very tiny babies but they’re human beings. And cloning and other things. His unwillingness to vote for the Marriage Protection Amendment and saying that the states could protect the institution of marriage when in fact he knows that the courts can simply override the will of the people as the state Supreme Court in the state of California has recently done. That and the fact that I’m so very concerned about Senator Obama and what he believes and stands for, as well as the need to rethink some of my views regarding Senator McCain. And that thinking has taken place and continues to do so. This has been the most difficult moral dilemma for me. It’s why you haven’t heard me say much about it because I have struggled on this issue. And there are some concerns here that matter to me more than my own life and neither of the candidates is consistent with my views in that regard. But Senator McCain is certainly closer to them than Senator Obama, by a wide margin. And there’s no doubt about at least no doubt in my mind, about whose policies will result in more babies being killed. Or who will do the greatest damage to the institution of marriage and the family. I’m convinced that Senator McCain comes closer to what I believe. So I am not endorsing Senator McCain today. I don’t even know who his vice-presidential candidate will be. You know he could very well choose a pro-abortion candidate and it would not be unlike him to do that because he seems to enjoy a frustrating conservatives on occasions. But as of this moment, I have to take into account the fact that Senator John McCain has voted pro-life consistently and that’s a fact. He says he favors marriage between a man and a woman, I believe that. He opposes homosexual adoption. He favors smaller government and lower taxes and he seems to understand the Muslim threat, which matters a lot to me – I am very concerned about that. Therefore, I have considered the fact that elections always involve imperfect candidates. There are no perfect human beings and you always have to choose between two flawed individuals, that’s the way we’re all made. So it comes down to this, and I never thought I would hear myself saying this, but it’s where I am: that while I am not endorsing Senator John McCain, the possibility is there that I might. And that that’s all I can say at this time.